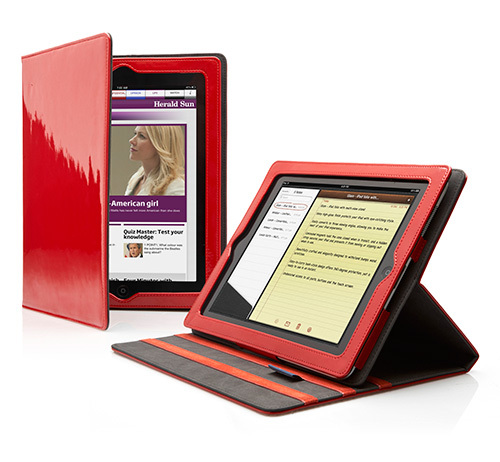 The Glam by Cygnett is the must have accessory for the astute professional woman with an iPad 2. Sleek in design and feel, coming in shiny red or black and easy to coordinate with any wardrobe. 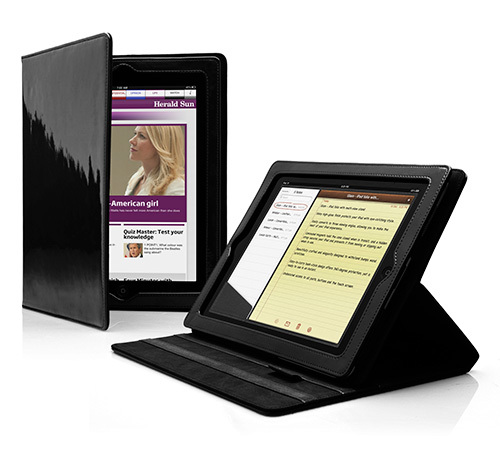 The iPad 2 fits into the Glam like a glove giving 100% protection. Its equipped with a multiple view stand which is fabulous for Easy use of the iPad 2 keyboard or playing games or watching videos whilst resting on your lap! Tiny little magnets hidden in the Glams front cover latches tightly to the back cover to protect the iPad 2. The best thing about the Glam is that it is also a smart cover. When the cover opens, the iPad 2 is turned on. When the cover closes, the iPad 2 turns off. It is just like magic. How smart is that!